Charles City, Iowa – Building owners in Charles City’s downtown district have an opportunity to receive up to $75,000 towards bricks and mortar improvements thanks to Main Street Iowa and the Iowa Legislature. The Main Street Iowa Challenge Grant program has been funded for another year by the Legislature, which is making a total of $925,000 available for selected building projects in the state’s Main Street communities. Community Revitalization of Charles City is one of those 52 MSI programs eligible to participate in this competitive grant offering. While not every Main Street community will be awarded funds, Charles City has been fairly successful in the past in obtaining grant funds, including most recently to help revitalize and remodel the Ackerson Services building on North Grand Ave. Applicants may apply for half of their total project cost up to $75,000, with a minimum amount of $15,000. This is a dollar-for-dollar match, meaning the applicant must be able to match the amount being requested. The grants are also on a reimbursement basis, meaning there is no money provided up front. Reimbursement can begin once the project is halfway completed. No costs incurred prior to the grant contract or project commencement can be included as part of the grant request. 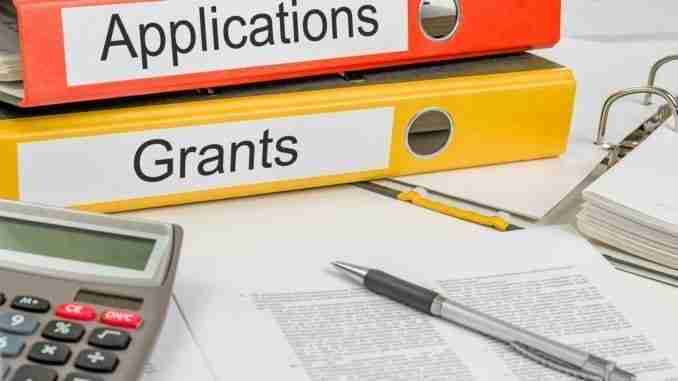 Main Street communities can only submit one Challenge Grant application, so if multiple applications are received the Business Improvement Committee of Community Revitalization will serve as judge as to the project it feels has the best opportunity to be funded. The application deadline is 5 p.m. on Tuesday, September 5, 2017. Applications must be submitted to the Community Revitalization Office at 401 North Main St. The grant awards announcement is expected to take place in mid-November in Des Moines. Once announced, grant winners will have 24 months in which to complete their project under the grant terms. For more information or a copy of the grant application criteria, please contact Community Development Director Mark Wicks at (641) 228-4234, mark@charlescitychamber.com or by stopping in at 401 North Main.